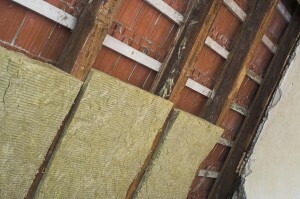 Sufficient attic insulation is essential to keep your home comfortable and energy efficient. If you are wondering whether your home in Nicholasville, KY, is appropriately insulated, trust the experts at 31-W Insulation. We have helped homeowners across the country with insulation questions and installation since 1972, and you can be confident that we can help you determine if your house needs an insulation upgrade. Is your HVAC system working overtime to keep your home comfortable and your temperatures constant? Is your home too hot in the summer and too cold in the winter, despite higher energy bills? Do you feel unexpected drafts in your Nicholasville home? If you answer yes to any of these questions, you may need to upgrade or add more insulation to your attic. We can help you choose from the numerous types of products that we offer, including batts, rolls, blown-in insulation, or foam insulation options. The technicians at 31-W are highly trained to accommodate your needs safely and efficiently, and will ensure that your project is completed on time, on budget, and to your complete satisfaction. To learn more about the exceptional attic insulation services and outstanding customer service that you can expect from 31-W Insulation, contact us today. We are proud to offer insulation installation and other home improvement services to homeowners in Nicholasville, Kentucky, and surrounding areas, contact us today. We will be happy to provide you with a free, in-home estimate for our services.